Iced Inspirations Sugarcraft & Party Shop offers an extensive range of cake decorating supplies including tools, icing, cutters, edible colours and glitters, boards, boxes, edible and non-edible cake decorations etc . In fact, everything you need to decorate your cake from beginner to professional. If you are unable to find the product you are looking for, give us a call, we will be happy to help and advise you. 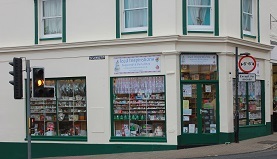 Alternatively, why not visit our shop.